I am interested in the idea of ‘task boxes’ and have been pinteresting and googling. Here a student works independently on a task box. 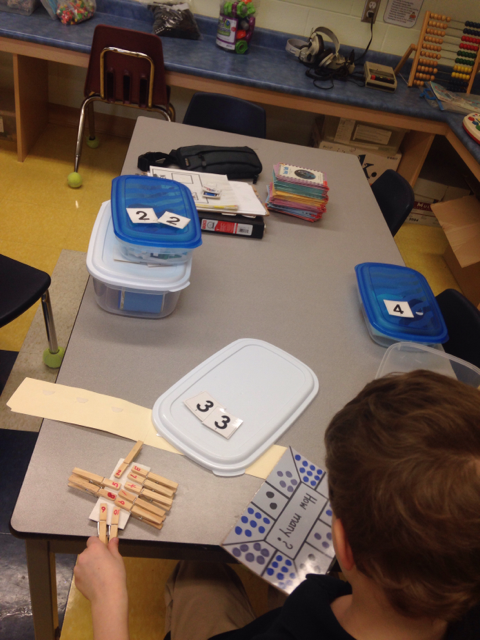 The function of the boxes has been math skills, literacy skills, and fine motor skills. The box contains a photo (for a visual instruction) and after demonstrating a couple of times the student should be able to work independently. I can see many good skills being practiced this way! Posted in Classroom, Math, Reading. Bookmark the permalink.